1692~1699: born in Edo; he starts his career at an early age, performing in kodomo shibai under the name of Kazakiri Chûnosuke and Kazakiri Tatsunosuke. 1st lunar month of 1700: he takes the name of Dekishima Kiyosaburô and performs as a wakashugata at the Moritaza. Beginning of the 1700s: he becomes disciple of Ichikawa Danjûrô I and receives the name of Ichikawa Kiyotarô. 1708: his stage name is changed to Ichikawa Kiyota. Fall 1709: he goes to Ôsaka. 11th lunar month of 1709: Ichikawa Kiyota takes the name of Ichikawa Matatarô in Ôsaka at Shioya Kuroemon's theater, performing in the kaomise "Inari Chôja Kokonotsu Kogura", which is produced by Iwai Hanshirô II. Fall 1711: he goes back to Edo with Osagawa Tatsuya and Sawamura Jûrôzaemon. 11th lunar month of 1711: he takes the name of Sakakiyama Sukegorô and plays at the Moritaza in the kaomise drama "Kôbai no Momoyoguruma". Fall 1713: he goes to Ôsaka. 11th lunar month of 1713: he takes the name of Ichiyama Sukegorô I and plays in the kaomise drama "Onna Fude Yôbunshô", which is produced by Arashi San'emon III and Ogino Yaegiri I. 11th lunar month of 1717: Sukegorô plays at the Naka no Shibai the role of Ishimaru Kanjûrô in the kaomise drama "Inari Yashiki Daikoku Bashira", which is produced by Sawamura Chôjûrô I. 12th lunar month of 1717: Sukegorô plays in the same theater the role of Chôemon in the kiri kyôgen "Ôsaka Shinjû Hajimari" ; the role of Chôemon's lover Ichinojô is played by Sanogawa Mangiku. 1st lunar month of 1720: first Kabuki adaptation of Chikamatsu Monzaemon's puppet theater drama "Heike Nyogo no Shima", which is produced by Takeshima Kôzaemon II in Ôsaka at the Naka no Shibai; Sukegorô plays the role of Tanzaemon [casting]. 11th lunar month of 1727: Sukegorô produces in Kyôto at Miyako Mandayû's theater the kaomise drama "Masu Kagami Eitai Gura". 1st lunar month of 1731: Sôzaburô plays in Kyôto at Kameya Kumenojô's theater the roles of the wakadono Utanojô and Gengo's younger brother Tamaru Hanroku in the new year ni-no-kawari "Keisei Mikasayama". 11th lunar month of 1732: Sukegorô plays in Kyôto at Kameya Kumenojô's theater in the kaomise drama "Hayazaki Kogane no Hanabusa"; his stage partners are Arashi Kanshirô I, Fujioka Daikichi, Nakamura Kiyosaburô I, Somenoi Hanshirô, Matsushima Moheiji, Kirinami Takie, Tomizawa Montarô I, Shinozuka Kazaemon and Arashi Koroku I. 1st lunar month of 1733: Sukegorô's rank in the Kyôto hyôbanki, tachiyaku section, is jô-jô-kichi (superior - superior - excellent). He shares the same rank with Nakamura Shingorô I, Sakakiyama Shirotarô I and Arashi Kanshirô I. Fall 1733: Sukegorô goes back to Ôsaka. 11th lunar month of 1733: Sukegorô plays at the Ônishi no Shibai the role of Tamate Hikoroku in the kaomise drama "Shigeri Matsu Kogane no Takaragura", which is produced by Nakamura Jûzô I. 1st lunar month of 1734: Sukegorô's rank in the Ôsaka hyôbanki, tachiyaku section, is jô-jô-kichi (superior - superior - excellent). He shares the same rank with Sawamura Otoemon I and Arashi Sangorô I. 9th lunar month of 1735: Sukegorô plays at the Ônishi no Shibai the role of Abe no Yasuna in the drama "Ashiya Dôman Ôuchi Kagami"; his stage partners are Yoshizawa Ayame II (Kuzu-no-Ha) and Nakamura Jûzô I (Dôman). 11th lunar month of 1736: Sukegorô plays in Kyôto in the kaomise drama "Tomi no Ichi Kogane no Aratama", which is produced by Nakamura Tomijûrô I; his stage partners are Nakamura Shingorô I, Sakurayama Shirosaburô II, Yamashita Kinsaku I, Yamanaka Heijûrô I, Sanogawa Mangiku, Arashi Shichigorô I, Tatsuoka Hisagiku and Tatsuoka Someemon. 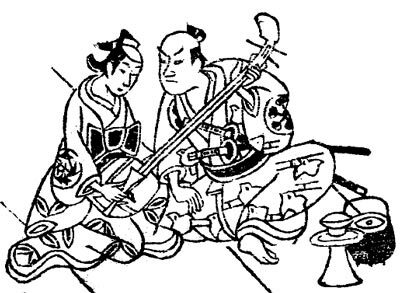 11th lunar month of 1738: Sukegorô plays at the Ônishi no Shibai in the kaomise program "Kusunoki Yakata Sennen Gitsune", which is produced by Yoshizawa Ayame II and celebrates the arrival in Ôsaka of Bandô Hikosaburô I; the line-up includes also the actors Tsuuchi Monzaburô I, Segawa Kikunojô I, Ichiyama Dengorô and Matsushima Moheiji. 11th lunar month of 1742: Sukegorô plays at the Kado no Shibai in the kaomise drama "Sangoku Denrai no Ishi", which is produced by Iwai Hanshirô III; his stage partners are Mimasu Daigorô I, Segawa Kikujirô I, Mihogi Gizaemon I, Somenoi Hanshirô and Yamashita Kinsaku I. 11th lunar month of 1745: Sukegorô produces at the Naka no Shibai the kaomise drama "Onna Musha Ukisu Gassen", in which he plays the role of Sasaki Moritsuna; his troupe includes Arashi Shichigorô I, Sakakiyama Koshirô I, Segawa Somematsu, Sanjô Namie I, Nakamura Jiroza I, Ichikawa Sadanji I, Bandô Toyosaburô I, Anegawa Daikichi I, Arashi Sangorô II, Hanagiri Toyomatsu II and Onogawa Kamegiku. 12th lunar month of 1745: the drama "Natsu Matsuri Naniwa Kagami" is performed for the first time in Ôsaka, simultaneously in the three major theaters of the city, which starts a competition for the best performance; Sukegorô produces this drama at the Naka no Shibai and plays the role of Issun Tokubê [casting]. 8th ~ 9th lunar months month of 1746: Sukegorô produces in the same theater the drama "Keisei Asama-ga-Dake", in which he plays the role of Miura Wadaemon. This is most likely his last stage appearance. 10th day of the 1st lunar month of 1747: Sukegorô dies in Ôsaka. Ichiyama Sukegorô I was an important tachiyaku actor, who made a long and successful career during the first half of the 18th century. An interesting feature of this actor was that he was born and trained in Edo but achieved fame for himself in Kamigata (a rare feature around his time, the opposite being more usual), where he became a top-ranking actor, holding the prestigious jô-jô-kichi rank for 13 years. This drama was a shinjûmono based on the story of Chôemon and his lover Ichinojô. The 17th day of the 5th lunar month of the 3rd year of the Tenna era (the 11th of June 1683 in the western calendar), the courtesan Yamatoya Ichinojô and her lover Goze no Chôemon committed suicide together in Ôsaka. This event caused quite a stir and three Ôsaka theaters decided to capitalize on the situation by simultaneously producing the same month the first shinjûmono of Kabuki history. The actors Ichiyama Sukegorô I (right) and Segawa Somematsu (left) performing in the 11th lunar month of 1745 at the Naka no Shibai in the kaomise drama "Onna Musha Ukisu Gassen"